We are not afraid to say that we are fascinated by birds. Flying birds always provoke human admiration. There is this unexplained mysterious feeling that surrounds us when watching birds on the forest trees, in our backyard, at the ocean, sea, or lake. Birds are an infinite treas... read full description below. We are not afraid to say that we are fascinated by birds. Flying birds always provoke human admiration. There is this unexplained mysterious feeling that surrounds us when watching birds on the forest trees, in our backyard, at the ocean, sea, or lake. Birds are an infinite treasure of inspiration for humans, waking us up in the morning with beautiful birdsongs. Their little brain is of a size of an unshelled walnut and is associated with intelligent behavior and the same capabilities of humans and apes' mental tasks. When you think about all the animals in the world, you quickly realize that birds are, in fact, among some of the most intelligent creatures we have on earth. Although there are more than ten thousand bird species worldwide, only a handful of them have made the list for the extremely talented and incredibly intelligent. So who are these super intelligent feathered friends? It is difficult to pick one. Perhaps kea, ravens, and crows are equally smart; while macaws, cockatoo, and jays are on the top of any list too. Who knew that an African gray is capable of working out the location of hidden food by using the kind of deduction and elimination skills previously seen only in humans and apes? And as you probably have heard, they are exceptional talkers! Today, we all know that it is bad to imprison birds in cages, but it was not always the case throughout the history. According to Stephen King, Some birds are not meant to be caged, that's all. Their feathers are too bright, their songs too sweet and wild. Due to beautiful poetry and cultural expressions, the flying bird became a symbol of freedom and independence. 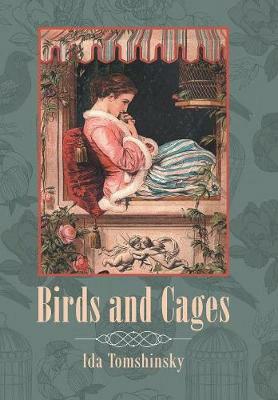 There are cases of historic acknowledgment of birdcages, especially in the Victorian era. People were listening to birdsongs in cages as it was their radio entertainment outlet. During wartimes, birds demonstrated their unique abilities in courageous heroic efforts to help humans in transferring information through the battlefields. The birds and birdcages both have a longtime history. Our love for the amazing earth creatures makes us stand out for their protection and safety to enjoy our shared inhabitants on the planet, and as for the birdcages, people find them pretty appealing in various ways of the aesthetic repurposing.